Beautiful Direct Bayfront 2 BR Wifi Next to Convention Center. This beautiful end unit located in the A building.This condo boasts a magnificent view of the open bay with a very large balcony and incredible sunsets. In the living area, you have 16 feet of glass doors looking at the open bay. Conveniently located next to the Roland Powell Convention Center on 39th Street within walking distance to the beach. It's only a short walk to Seacret's, Fishtales, Macky's, Fagers Island or you can take the bus for only $3.00 for all day. Ocean Downs casino and horse racing just a short drive away. 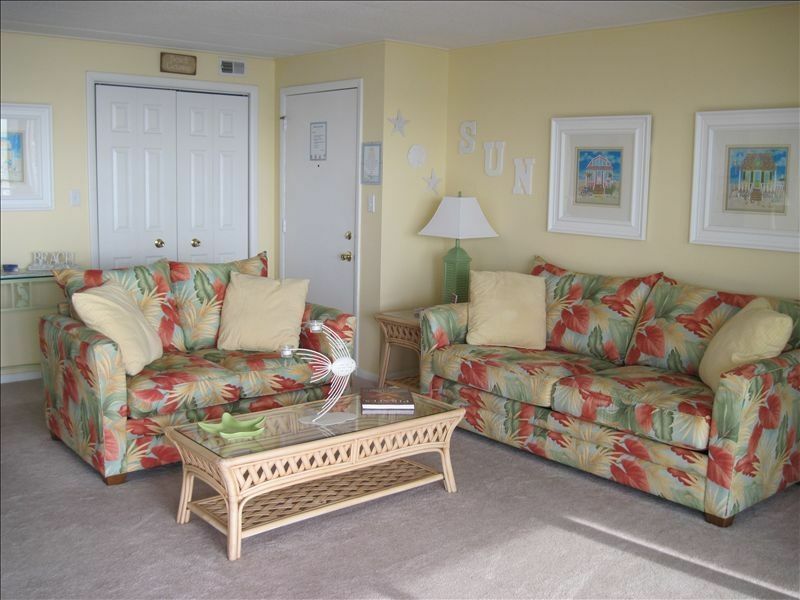 Our condo comes with a full kitchen, sleeps 8 people and has a beautiful bay front pool to sit and enjoy the view. We offer weekly rentals as well as mini weeks. We offer an early check in at two for your convenience so you don't have to waste your day waiting to get your vacation started. There is a dock for crabbing and fishing right out front of the complex. A boat dock is available to rent through the office which is on site. Off season rentals for car shows, Festival of Lights, Christmas Expo, New Year's Eve, Springfest, and Winterfest to name a few. Why stay in 1 room for more money when you can stay in a beautiful condo for less and save some money for fun. Make your reservations early, this one goes fast! You will want to come back every year. If you need something smaller, we also have a 1 bedroom with pool and kiddie pool on 140th street at a different location. Check out 169040 on this site for more info and just listed our 1 bedroom on the same site on 33rd street bay side across from Jolly Roger Amusement and water park 33rd street bay side vrbo 241978. We have added a 55 inch flatscreen to Thunder island. We chose this property for the incredible view of the bay,and the wonderful sunsets. I love to hear the sound of the water. We have owned this for 10 years and when I get up in the morning and walk down the hall the view still takes my breath away. It is very quiet back there,but there is a lot of jet ski action which is fun to watch. I love just sitting on the balcony listening to my Jimmy Buffet CD or my ipod and feeling very far away. The sunsets are beautiful and so relaxing to sit with a glass of wine or a cool pina colada. It is right next door to the Convention Center which is very convenient for many of our guests. Seacrets a very popular restaurant and club is just walking distance away where you can enjoy a day on the bay just floating on the rafts or listening to live music in the sand. (2) Flat screen t.v. with dvd player. Flat screen with dvd in master bedroom, flat screen in second bedroom. Condo was beautiful, clean, and easy to access. Patricia was great and even checked in on us! It was walking distance to the convention center which was ideal for us! Looking forward to staying again. This condo was in the perfect location next to the Convention Center where my daughter was competing. Not only was the location perfect, but the condo itself is clean and updated. Would definitely stay here again! I can only imagine how awesome it is in the summer! We had such an enjoyable time. Pat was amazing as she even followed up to ensure we were comfortable. The unit has everything needed and beautifully decorated. Location was perfect. We had a great time. The condo is beautiful and close to everything we needed. There is nothing better than listening to the water! Fantastic beach escape. Beautiful decor and extremely clean and welcoming. Very nice and accommodating owners. We chose this condo because of the convenience to the Convention Center. But we also really enjoyed the panoramic views of the water, especially at sunset. In addition, the kitchen was lovely and the overall reflected probably the most tasteful beach decor I've ever seen. We will definitely return. No pets are allowed. Event weeks may be higher. Rate doesn't include cleaning but not security hold. Please contact owner for best pricing available. Some rates may vary.